Taylor Townsend, 20, of Atlanta, will make her third consecutive appearance in the main draw of the French Open after winning 2016 USTA Pro Circuit Roland Garros Wild Card Challenge. Townsend reached the final of the $75,000 Revolution Technologies Pro Tennis Classic in Indian Harbour Beach, Fla., today, giving her at least 150 points in the wild card challenge. No other American woman can surpass her in the standings. Townsend will meet fellow American Jennifer Brady in tomorrow’s final in Indian Harbour Beach, which will be streamed live on www.procircuit.usta.com. Townsend had impressive results in this year’s USTA Pro Circuit Roland Garros Wild Card Challenge, also winning the $50,000 Boyd Tinsley Clay Court Classic in Charlottesville, Va., and reaching the final of the $50,000 Hardee’s Pro Classic in Dothan, Ala.
USTA Player Development awards a French Open main-draw wild card to one American man and one American woman who earn the most ATP World Tour and WTA Tour ranking points in a series of USTA Pro Circuit clay-court events this spring. 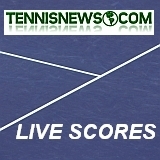 Ranking points from two out of the three men’s and women’s events are used and combined to calculate the point total and determine the French Open wild card recipient. If a player competes in more than two events, only his or her two best tournaments are counted in calculating the point total. Only players who have not earned direct acceptance into Roland Garros are eligible for the wild card. 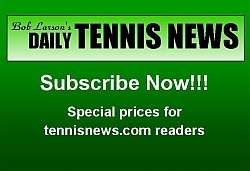 Townsend, who was a world-ranked Top 100 player as recently as last year, is currently ranked No. 208 in the world. She also won the 2014 USTA Pro Circuit Roland Garros Wild Card Challenge and had an impressive run to the third round with a win over No. 20 seed Alize Cornet. Townsend also competed in the French Open last year. Townsend turned pro at the start of 2013 and, in her first WTA-level main-draw match, beat then-No. 57 Lucie Hradecka in the first round in Indian Wells. She followed that up with her impressive run to the third round of the 2014 French Open. She then went on to compete at Wimbledon and the US Open in 2014 and at the Australian Open and French Open in 2015. Also in 2015, she made her Fed Cup debut in the World Group II First Round in Argentina, where she played doubles. In addition to her USTA Pro Circuit singles title in Charlottesville this year, Townsend has won five USTA Pro Circuit doubles titles in 2016 with Asia Muhammad. Townsend is also a former junior standout, clinching the year-end ITF No. 1 junior ranking in 2012 to become the first American girl to hold that position since Gretchen Rush in 1982. She ascended to No. 1 by winning the Australian Open junior singles and doubles titles, as well as the junior doubles titles at the US Open and Wimbledon. 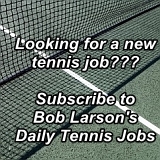 Also in 2012, she led the U.S. to the Junior Fed Cup championship. 2011 French Open junior champion Bjorn Fratangelo, 22, of Pittsburgh, earned the men’s wild card. Fratangelo finished the wild card challenge with 115 points by winning the $50,000 St. Joseph’s/Candler Savannah Challenger in Savannah, Ga., and by reaching the semifinals of the $100,000 Joey Gratton Sarasota Openin Sarasota, Fla. Fratangelo will be making his French Open main-draw debut later this month with the wild card. He is ranked No. 115 in the world. The USTA first used the wild card challenge format for its 2012 French Open wild cards, won by Melanie Oudin and Brian Baker. Oudin and Baker each advanced to the second round at that year’s French Open and subsequently broke into the Top 100. In 2013, Alex Kuznetsov and Shelby Rogers earned the wild cards, with Rogers winning her first-ever Grand Slam singles match at the French Open. 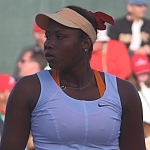 In 2014, young American Taylor Townsend and veteran Robby Ginepri received the wild cards, with Townsend becoming a top storyline by reaching the Roland Garros third round. Last year, teenagers Frances Tiafoe and Louisa Chirico secured the wild cards.